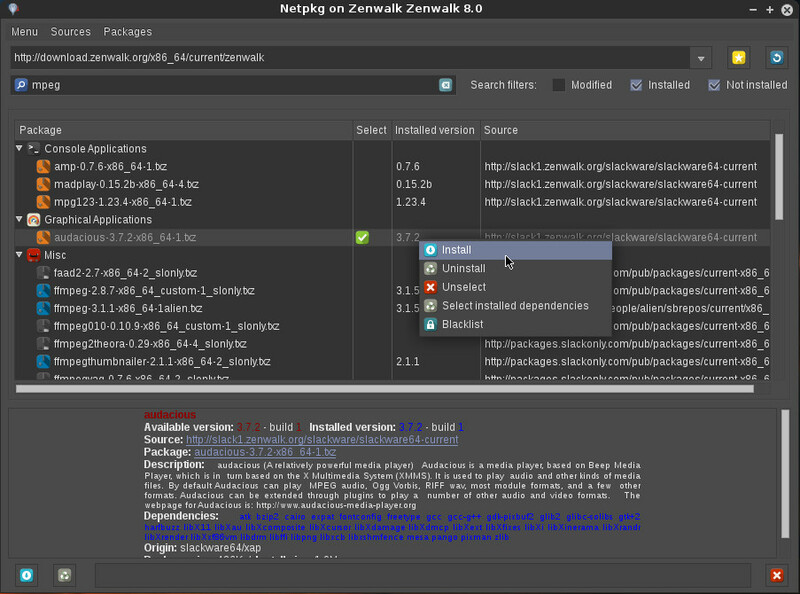 Zenwalk is a 64 bits "pure" Slackware system with added post-install configurations, optimizations and tunings already done out of the box, with a ready to use polished desktop environment, with added graphical system tools, added office and multimedia applications, and striped to keep just "one application per task"! Zenwalk Core is a minimal system, built with customization in mind to allow a skilled user to build a secure server in minutes. It provides the latest Slackware base system with no X Window System binaries, no X applications. Out of the box you get a full featured server system (Apache, Samba, Sendmail, Bind, ...) driven by the WEBMIN Web interface and Zenwalk system tools. After a 10 minutes install, you can then customize it by removing unneeded daemons, activate the firewall service, and configure your server. If you need the plethora of Slackware network servers and applications from the start : please note that you can download an original Slackware (or support the Slackware project at store.slackware.com ), then install the latest set of Zenwalk packages ("z" serie of packages) on it, then reboot : you will get a genuine Zenwalk system, of course : without the "one application per task" cleanup. How to keep it up to date ? Current ISOs are usually made available every 3 months, allowing you to reinstall the complete system, which is sometimes faster than upgrading hundreds packages.